Description: Sussex Academic Press, 2011. First Edition, Hardcover. Fine Condition/Near Fine. 9781845194093 Clean bright pages; slight curling to lower rear edge of jacket. 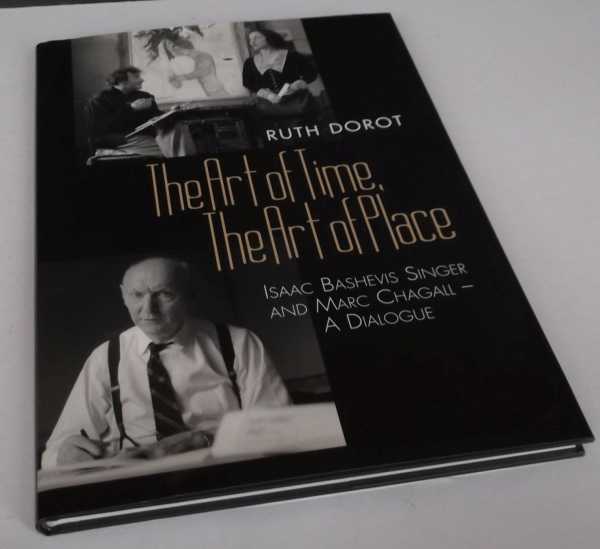 A comparative study of the work of Isaac Bashevis Singer and Marc Chagall, the book is based on the author's doctoral dissertation of 2004. It includes nineteen full color plates, in addition to many smaller black and white illustrations. The physical appearance of the book is striking, slightly oversize, with eye-catching photographic cover illustrations; high quality heavy white paper; clear, large type and wide margins. The author considers Singer's fiction and Chagall's creations as "poems in prose and painting." She analyzes and compares individual works of Chagall and Singer, pointing out similarities and differences. Each of the five thematic chapters includes extensive footnotes. In addition there is a useful bibliography of works by and about Singer and Chagall. The author is currently Lecturer in art history at Bar-Ilan University and Ariel University Center in Israel. The book is a fascinating study of the interrelationships and connections between the life and work of these two important Jewish creative artists. Scholarly, rather than popular, in tone, it is a valuable addition to Judaica collections in academic and research libraries, as well as synagogue libraries." --"AJL Reviews " 144 pages. Quantity Available: 1. Category: Art & Design; ISBN/EAN: 9781845194093. Pictures of this item not already displayed here available upon request. Inventory No: dscf7132.